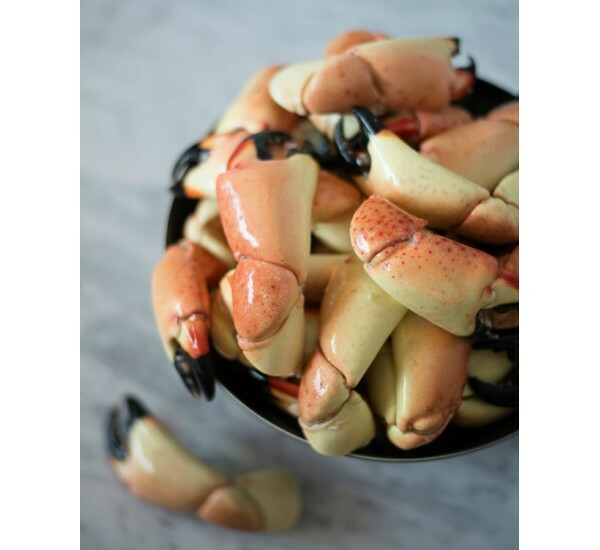 This crab is known as the delicacy of all crabs; with a sweet, juicy, lobster flavor and texture that are caught right off the coast of Florida. Stone crabs come in different sizes such as medium, large, jumbo or Colossal. Before eating this treat make sure you have a side of Mom’s famous mustard sauce! 4 to 5 claws in one pound.